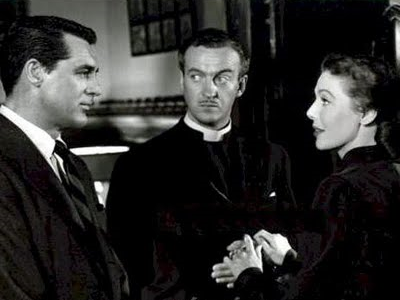 Bishop Henry Brougham (David Niven) is consumed with the construction of a new cathedral. His wife, Julia (Loretta Young), feels she is losing her husband’s affection as he attempts to raise the funds to build it by flattering a rich, old widow (Gladys Cooper). Has he forgotten the reason he became a clergyman in the first place? Enter an angel named Dudley (Cary Grant). On a mission from on high, Dudley attempts to show the bishop that the things that really matter aren’t made of bricks and mortar. Once a month we screen a classic film and have a brief discussion afterward. For more information, including how to join (it’s free), click here. The Venue 1550 is easily accessible by the CTA. Please visit Transit Chicago for more information on transportation options.